The AGO Trainee Program is a civilian competency-based training program in which participants undergo workplace-based training while completing a Certificate lV in Spatial Information Services. As a trainee you will complement your study with relevant and practical employment in a unique environment. You will be provided in full-time paid work while completing your qualification and you are guaranteed employment on successful completion of the program. opportunities for career progression within AGO and opportunities for a future career within wider Defence. As a trainee you will be given the opportunity to work on exciting, real-world projects using leading-edge technology in a range of job disciplines, including cartography, photogrammetry, data acquisition, data management and web mapping services. Your work at AGO will be designed to complement your study program. A training plan, including your study and work requirements, will be negotiated with your supervisor. Successful 2019 applicants will commence in March 2020. Our AGO Trainee Program is located in Bendigo. Bendigo is located almost in the centre of Victoria, approximately 150 kilometres from Melbourne. It is the fourth largest inland city in Australia and fourth most populous city in Victoria. Bendigo has a relatively dry temperate climate with warm to hot summers and cool to cold winters. Bendigo gets 110 clear days annually. Sport plays a major role in Bendigo with cricket, tennis, netball and Australian rules football being the most popular; however, many other sports are available, like swimming, basketball, soccer, rugby union, hockey, volleyball and orienteering. Bendigo also has Lake Eppalock, which provides water to the town, as well as hosting many water sports like water skiing and canoeing. For more information, visit Bendigo Tourism. Are you seeking a career within Defence and the Australian Public Service? Are you seeking to gain a VET qualification in Spatial Information Services? Candidates must also meet prescribed APS conditions of engagement, including citizenship, health, character and security checks. Final Selection – If your application is successful you will be offered a position on the 2020 AGO Trainee Program, which will commence in March 2020. A security assessment and a simple medical are required before finalising your recruitment to Defence. The following table shows how you will be evaluated against the selection criteria. consider whether you are willing to go through the security clearance process, which can be quite demanding and intrusive. 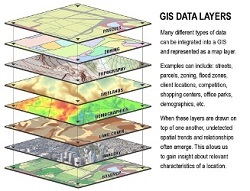 Already have a GIS qualification? For more information on the AGO Trainee Program, please email AGO Trainee Program Enquiries. For more information on the qualification, please visit the TAFE NSW: Spatial Information Services. Australian citizenship is a condition of employment in the APS, including the AGO Trainee Program; see Department of Home Affairs: Australian citizenship. Do you have age limits for applicants? No. All applicants are selected according to the Australian Public Service merit-based selection process for an APS 3 position. What does a medical clearance involve? A medical clearance is a standard condition of employment in the APS to ensure you are fit to undertake your duties. Note: A medical clearance is only required if you are offered a position. As a Defence public servant, am I required to wear a uniform and participate in military exercises? No. The AGO Trainee Program is for civilians only. Given you will not be a member of the Australian Defence Force, you are not required to wear a uniform and will not undertake any military exercises. A security clearance is a condition of APS employment and is required to assess your reliability and trustworthiness in handling Defence information. If the availability, integrity or confidentiality of Defence information is compromised in any way, lives can be lost – it is as simple as that. You will be cleared to a Baseline level (as a minimum) to participate in the AGO Trainee Program. However, you will be required to apply for a Positive Vetting security clearance once you have started the program. give Defence the right to check any information you provide with relevant authorities such as the Australian Federal Police and financial institutions. What if I am unsuccessful in getting a Baseline security clearance? If you are unsuccessful in getting a Baseline security clearance, your offer to join the program will be withdrawn. What if I am unsuccessful in getting a Positive Vetting security clearance? If you are unsuccessful in getting a higher security clearance, you MAY be offered continued employment at the Baseline security level.